Food trends – who’s buying what in Scandinavia? What does the phrase ‘Scandinavian food’ bring to mind? If it’s meatballs, open sandwiches, and salty liquorice, you might want to try again. 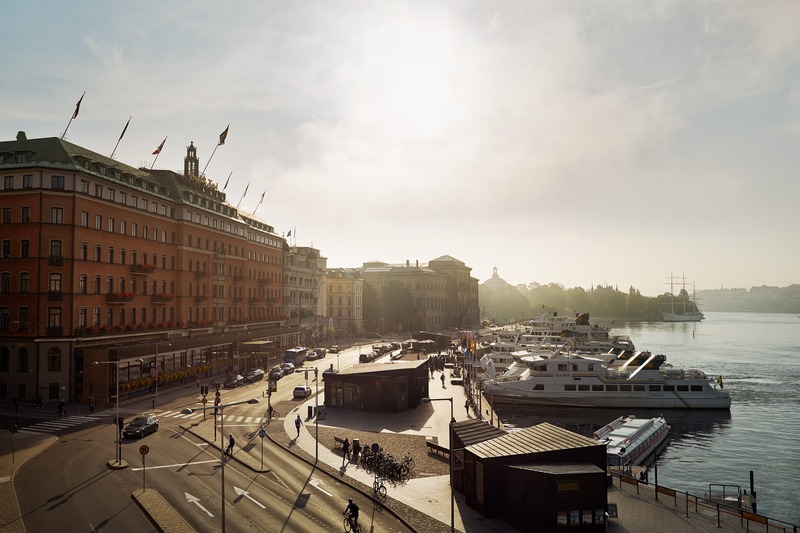 According to market researchers at Euromonitor, the Nordic countries’ political focus on health and the environment is mirrored by customer concerns about ethics and value. That means a market that’s keen on premium quality goods – artisanal bread, dark chocolate and olive oils – and on naturally healthy, fortified and functional foods. Norway, Finland, Sweden and Denmark collectively represent the third largest market for healthy packaged food in Europe. The rise of premium goods suggests that packaged food could stand to make more of its origins and craftsmanship as well. On the value front, private label (basically own-brand) foodstuffs have steadily grown in market share since 2004, largely because higher-than-average food prices mean that Nordic consumers spend more actual currency on food than elsewhere in Europe, despite a similar percentage of income being allocated to the grocery bill. A handful of Asian food importers have already entered the fray, with efforts focused on providing familiar flavours to expatriates living in Scandinavia. The market is ripe for a retailer who can successfully combine a reputation for healthy and well-made produce with lower prices. This isn’t to suggest that all Nordic markets are created equal, of course. The strategy has to be tweaked to account for the subtle variances in priorities, patterns and policies between the four nations. Danes, for example, are rejecting the calorie-counting approach and concentrating on the social and aesthetic aspects of food. What they are counting is food waste and by-products: the Danish market is concerned about making the most one can out of materials, and eliminating waste throughout the production chain through organic farming and sustainable fishing. Danes like to shop and dine out, but they like to order in advance via mobile technology: they’re not given to queueing. By contrast, the Finns have historically preferred to shop in person and examine goods before they buy, but more and more collection points for groceries ordered over the Internet are opening throughout Finland, suggesting that the current slow growth in online shopping is likely to continue. The first retailer to guarantee quality, or to allow a final check at the collection point, is likely to win over a cautious but curious sector of the Finnish food market. Sweden demonstrates the Scandinavian concern for the holistic. In the Swedish market, expectations are being adjusted all the time, and incentives to consume in a particular way are heavily influenced by political policy. For instance, the Swedish government is currently considering a tax on meat. Rather than banning it outright, the theory is that higher prices will discourage buyers from products which are unsustainably farmed and linked to both lower life expectancies and climate change. Instead, the market will veer towards local fruits, vegetables and grains, meaning better long-term health for Sweden’s economy as well as its people. Sweden also has the same drive toward reducing waste as Denmark, although the focus is on the point of sale rather than production: once something’s been farmed, it’s being sold, whether it meets the aesthetic standards of picky consumers or not. One thing to bear in mind is that Scandinavian food cultures can be very different, both from each other and also from the rest of Europe. For instance, the plainness of Danish food can induce culture shock in Western Europeans, as do the social practices: while Danes are social eaters, the food is not a focus of the conversation. The taste of food is less important than the facts about how it promotes or safeguards health. Food is not about showing off in Denmark – it’s simply a fact of life. Sweden, meanwhile, has a concern about the natural qualities of food – there is a similar emphasis on plainness but for a very different reason. Both have a far less sensual and aesthetic attitude to food than is apparent elsewhere, and therefore marketing strategies need to change gear as well. Another factor to watch out for, of course, is the Scandinavian concern with health. The expansion of the Western diet – full of meat and calories derived from refined fats, sugars, alcohol and oils – is being actively resisted across the Nordic countries. The Scandinavian consumer recognises that empty calories (those not tied to food with any other nutritional content) and throwaway leftovers are things to be avoided. Processed food, associated as it is with both these characteristics, needs to be carefully formulated and promoted: there is a market there, but a very different market to those already favoured by would-be exporters. Cafe Asia prides itself on using fresh ingredients to deliver the tastiest foods possible. Find out about our way of working here. And to keep on top of trends across the rest of the globe, keep an eye on our blog.